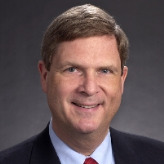 Former Iowa governor Tom Vilsack, Barack Obama’s choice to lead the Department of Agriculture, was born with the name Kenneth on December 13, 1950, in a home for unwed pregnant women in Western Pennsylvania, and was placed in a Catholic orphanage in Pittsburgh shortly after his birth. He was adopted as an infant by Bud and Dolly Vilsack. His father was a real-estate agent and insurance salesman, and his mother was a homemaker. He had one sister, Alice, who was six years older than Vilsack and died in her mid-40s. Vilsack reportedly had a lonely and difficult childhood. His mother was addicted to prescription drugs and alcohol, and she abandoned her family when Vilsack was 13. He met his future wife, Ann Christine Bell, in October 1968 while attending Hamilton College in New York. Vilsack graduated with a Bachelor of Arts degree in history in 1972, and the following year he married Ann. He attended Albany Law School of Union University and received his JD in 1975. That same year, he and his wife moved to his wife’s hometown of Mount Pleasant, IA, and Vilsack started practicing law with his father-in-law, Tom Bell. Vilsack first became involved in fundraising to help build a $750,000 sports complex facility in his town in 1978. He went on to become president of the Rotary Club, Chamber of Commerce and United Way board. He served as president of the Iowa Trial Lawyers Association in 1985. Vilsack’s political career began in the wake of a tragedy that shocked Mount Pleasant. On December 10, 1986, a disgruntled resident, Ralph Davis, shot and killed Mayor Edward King and wounded two council members during a city council meeting. King’s father and others encouraged Vilsack to run for the office. He was elected in 1987 and went on to serve three terms as mayor. From there, Vilsack ran for the state Senate as a Democrat and was elected in 1992. He was re-elected in 1994 and 1996, although he almost gave up politics in 1996 after mulling a run for Congress. Instead, he returned to the state Senate for one last term. In 1998, Vilsack made a risky career move and ran for governor—risky because Iowa had not elected a Democratic governor in 32 years. He came from 20 points behind in the polls to upset Republican Jim Ross Lightfoot (who was also adopted from an orphanage), thanks in part to strong support from organized labor. He easily won re-election four years later. Early in his second term as governor, Vilsack oversaw the creation of the Grow Iowa Values Fund, a $503 million appropriation designed to improve the state’s economy by offering grants to corporations and initiatives pledged to create higher-income jobs. Vilsack tried to finance the new program through use of his line-item veto power, by axing monies for other programs and redirecting them to the fund. The move was ruled unconstitutional by the state Supreme Court. Vilsack raised some eyebrows in 2005 when he signed an executive order that allowed felons who served their sentences to regain their right to vote. Iowa law had held that convicted felons were permanently barred from voting unless the governor personally restored their voting rights. But Vilsack’s most controversial moves as governor involved the state’s agricultural sector. Vilsack established a cozy relationship with “big ag,” including leaders in biotech farming, like Monsanto, which gave Vilsack several free rides on one of their corporate jets. He signed legislation in 2005 that prevented local cities and counties from restricting the sale of genetically modified seeds. Other critics complained about the increase in the number of hogs per farm in Iowa during Vilsack’s tenure as governor, rising from 800 to more than 1,800 per farm. Hog farms have often been the focus of concerns by environmentalists due to the large volume of waste that such operations produce. As a state senator, Vilsack voted for a 1995 law meant to exclude livestock operations from public nuisance lawsuits. The Iowa Supreme Court later overturned the law as unconstitutional. After eight years as governor of Iowa, Vilsack launched a campaign for president on November 30, 2006. The bid lasted less than three months, once the Midwest Democrat realized there was little money left to raise, what with Obama and Hilary Clinton dominating the ranks of Democratic donors. He ended his campaign on February 23, 2007, and threw his support behind Clinton, becoming her national co-chair. While helping Clinton seek the Democratic nomination for president, Vilsack joined the Des Moines office of Minneapolis-based law firm Dorsey & Whitney on May 1, 2007. Dorsey & Whitney is the 60th largest law firm in the United States, with 18 offices, about 650 lawyers and 850 support staff spread out across the US, Europe and Asia. Founded in 1912, the firm specializes in mergers and acquisitions, corporate finance, intellectual property, patent, and trademark issues, employment and labor, environmental issues, white-collar crime, and public offerings. It represents numerous Fortune 500 clients, including Wal-Mart. Despite his support for Clinton, Vilsack won over Obama with his aggressive campaigning for the Democratic nominee in Minnesota, North Dakota and Pennsylvania. He also helped Obama by making calls to agricultural leaders and organizations and by promoting Obama’s farm views. It also didn’t hurt that Vilsack had ties to some of Obama’s top advisors, such as campaign strategist David Axelrod, who worked as a consultant for Vilsack in 1998. In addition, in October 2008, Vilsack published two essays that demonstrated his policies were in tune with Obama’s. One essay advocated for a focus on renewable energy to help with the economic recovery, while the other called for a “carbon revolution,” with the Midwest becoming the world’s renewable energy center. Vilsack is a strong supporter of ethanol, most of which is made from corn. Iowa is the leading producer of ethanol in the United States. 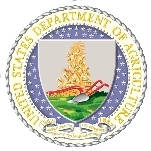 Vilsack’s nomination as secretary of agriculture prompted concerns among organic farmers and some environmental groups, owing to the former governor’s support for large agribusiness and biotechnology. “Vilsack’s nomination sends the message that dangerous, untested, unlabeled genetically engineered crops will be the norm in the Obama Administration,” said Ronnie Cummins, executive director of the Organic Consumers Association.